This page lists the fees charged for Australian passport holders when applying for a Vietnam visa on arrival. This article provides you an overview about Vietnam visa online, which is the best way to obtain visa to Vietnam today. 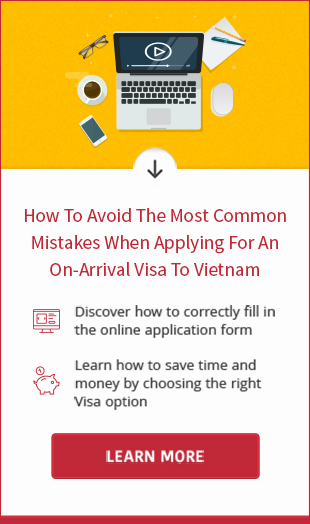 Applying for Vietnam visa is a simple process. Should you be interested in traveling to Vietnam, itâ€™s necessary to know how to obtain a visa to Vietnam first. Have you ever heard about Vietnam visa online? This is a new alternative of getting visa for visitors traveling to Vietnam by air. If you plan to enter Vietnam at the airport and interested in online visa application, please read this article. The specific cost for US citizens to pick up Vietnam visa on arrival at the airport is listed in this article. Read it now if you are wishing to get a cheap visa to Vietnam from US. The Swedish passport holders visiting Vietnam less than 15 days are exempted a visa. For a longer stay, the Vietnam visa will be required as regulated. Please enter here to read more information. In a bid to boost tourism and business, the Ministry of Finance has recently announced the cutting down of visa fee to foreigners entering Vietnam from 23rd November. Here is a highlight of the new policy. You probably already knew, but in case you donâ€™t know, the approval letter must be issued before you travel to Vietnam and proceed with on arrival visa procedure at airport. If you are interested to know how on arrival procedure works, check it here.